Shorter than of late but we were in Bray, Larne and the parks this week – more over the jump! 124 Paul McFlynn 02:56:26 Bloody Tough! MM Half: Paul ran more like 15 miles when all accounted for!! 380 Marie Sweet 01:38:16 New PB! 393 Sarah Maybin 01:38:46 New PB! 497 Catherine Baillie 01:42:23 New PB! 643 Danielle Corey 01:46:05 New PB! 705 Karen Carlisle 01:47:54 New PB! 731 Geraldine Coyle 01:48:46 New PB! 1273 Julia Orr 02:01:37 Newbie PB! Boom! That is how you do it folks! Amazing effort and a great showing for the Dub Runners. The coastal route is more challenging that it may first appear, but any pain felt during the 13.1 course is made up for by the scenery! Once again a swathe of personal bests were set by Marie S, Sarah, Catherine, Danielle, Karen and Geradline – phew, awesome, awesome running. Those were just the PBs – everyone posted cracking times, and times that everyone should and are proud of. Winter training paid off this year – all we had to do now as a club is sustain it! Not many action shots, but we got a few rare shots… of Dubs celebrating! 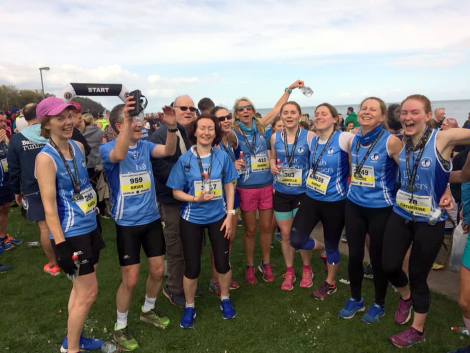 Larne: Dubs celebrate at the finish line after a job well done! 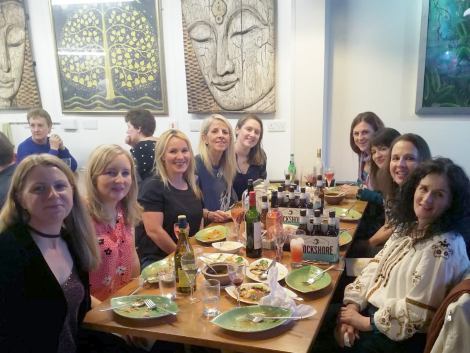 Larne: Suited and booted Dubbers with a Thai! Ukn Roger Alastair 01:28:33 Newbie PB! 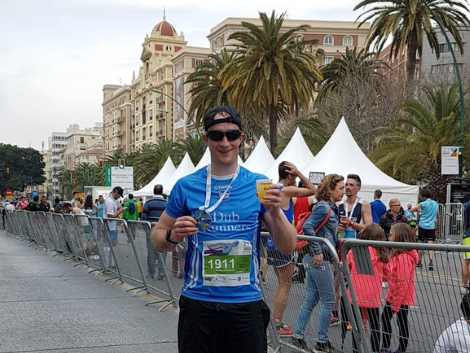 Flying Málaga: Alastair celerbates after completing his first half marathon. Niall MCCRORY 00:19:11 1st Place! New PB! Bernadette O'KANE 00:23:22 3rd Place! Steven TODD 00:18:24 3rd Place! Rob WALKER 00:21:11 New PB! Judith MC MANUS 00:22:40 3rd Place! Brona SHAW 00:29:03 New PB! Jane PATTERSON 00:31:02 New PB! James TRAINOR 00:19:17 2nd Place! Newbie PB! Martin TEGGART 00:27:14 Newbie PB! 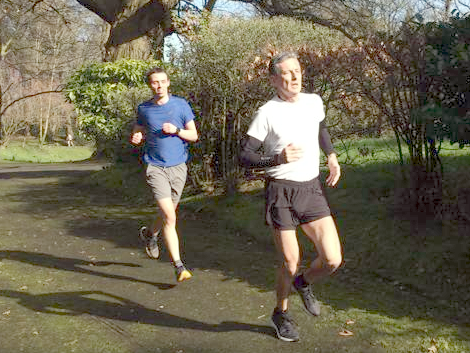 parklife: James (back in blue) chases down first place at Stranmillis College! While this is a celebration of all things Dub we need your help too! Make sure when entering races (and other non-race runs [ie: parkrun]) that you mark yourself as a Dub Runner. 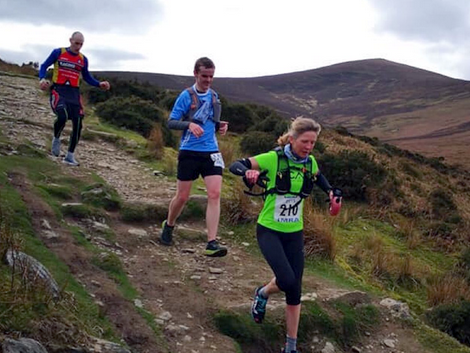 That way you’re easier to find – believe me when I say, when we get into the summer months and there’s ten or so races a week, it is no easy task trawl through a list of results – you will be missed out. For anyone who noticed we had a bit of a cyber attack on our club website earlier in the month – I am still looking for the hacker, I think he ran some ware.